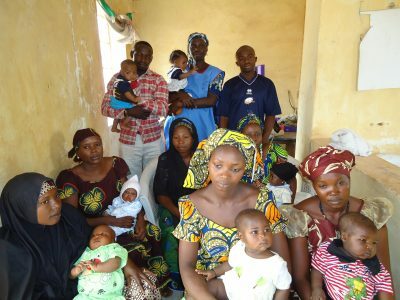 International development organisation Transaid is on track to achieve exceptional results in its Emergency Transport Scheme (ETS) in Adamawa State, Nigeria, with its programme staggeringly transporting more than 16,500 pregnant women to a registered health facility since the scheme began in July 2013. Results from an ETS user survey conducted last year saw 5,955 trips recorded – the highest number in a 12-month period since the scheme began – with 90 per cent of local women interviewed stating that they were transported to, and delivered at, a health facility. Statistics also show that 97 per cent of requests for transporting a pregnant woman to a health facility were arranged within 30 minutes, and 89 per cent of those then completed the journey to a health facility within a further 30-minute period. Since the start, 741 drivers have been trained in how to correctly lift and transport pregnant women to the health facilities. The service offered by the drivers is free of charge, with 96 per cent of ETS drivers – taxi drivers by trade – not asking for payment at the end of the journey. Transaid also works in collaboration with several stakeholders, including the Ministry of Health, Ministry of Women Affairs and Social Development, and Ministry of Transport. Due to the originality of the ETS intervention, an increasing number of NGOs have shown an interest in collaborating to upscale the scheme to include additional Local Government Areas (LGA). The ETS sets out to provide an affordable, accessible and safe transport service for women facing a maternal health emergency. It received a £1 million grant from Comic Relief in 2013 which was used to set up the scheme. The grant was announced at Transaid’s 15th anniversary celebrations and, as the organisation approaches its 20th year, Transaid will continue to grow the initiative to achieve, the projected number of transfers. Transaid transforms lives through safe, available, and sustainable transport. Founded by Save the Children, The Chartered Institute of Logistics and Transport (CILT), and its Patron, HRH The Princess Royal, the international development organisation shares 25 years’ worth of expertise in 23 countries with partners and governments – empowering people to build the skills they need to transform their own lives. Transaid’s core work includes creating transport management systems for the public sector and assisting with the provision of professional driving qualification development and the training of driver trainers. It also assists with teaching preventive vehicle maintenance management and introducing local, low cost transport solutions including its innovative bicycle ambulance. Transaid also helps promote road safety awareness and shares its specialist knowledge with the humanitarian aid sector. Transaid enjoys strong backing from the transport and logistics industry and the active involvement of its patron, HRH The Princess Royal. Transaid (www.transaid.org) is an international development organisation that aims to improve people’s quality of life in the developing world by making transport more available and affordable. It was founded by Save the Children and the Chartered Institute of Logistics and Transport (UK) and works by sharing skills and knowledge with local people to enable them to put in place and manage efficient transport systems.